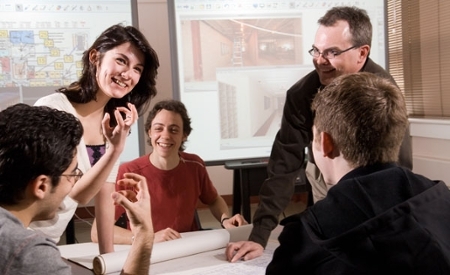 Once again, the University of New Brunswick’s faculty of engineering is offering its innovative and internationally recognized transition to university camp called UNBetween in Fredericton, NB. UNBetween is open to all incoming bachelor of engineering students that are coming straight from high school on a first-come, first-served basis. The camp simulates a typical week for engineering students, allowing students to experience campus life and the demands of university. Students stay in residence, attend lectures and laboratories, write tests and assignments, and participate in social events with their new classmates. Frank Collins, assistant dean of engineering, started UNBetween at UNB. In 2015, he was awarded the US National Resource Center’s Outstanding First Year Student Advocate Award. In its 26-year history, prof. Collins is the first Canadian to ever receive this honour. UNBetween participants will learn more about various engineering disciplines, engage with student societies such as Engineers Without Borders and learn of the various student support systems available on campus. There will be two options available for students wishing to enrol in UNBetween this summer, July 17-23, or Aug. 14-20. After the camp, participants receive personalized feedback on their learning and coping strategies and are provided with guidance on where to seek help if required. Over the last four years, students who attend this camp have been shown to perform up to 10 per cent better academically than those who do not attend the camp.